Check out Wil's books including his newest title, Tigerland. 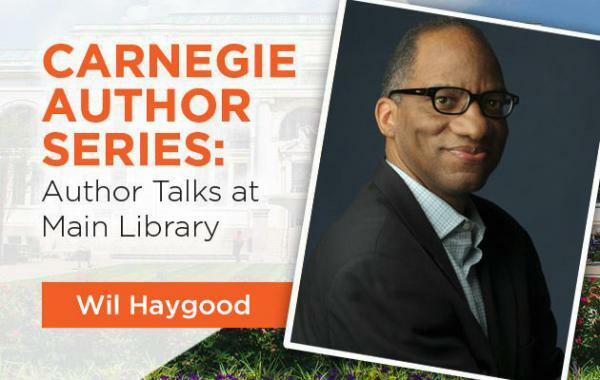 For nearly three decades Wil Haygood was a journalist, serving as a national and foreign correspondent at The Boston Globe, where he was a Pulitzer Prize finalist, and then at The Washington Post. He is currently a Visiting Distinguished Professor in the department of media, journalism and film at Miami University and the Patrick Henry Writing Fellow at Washington College. Haygood has authored multiple nonfiction books including The Butler: A Witness to History(2013); Showdown: Thurgood Marshall and the Supreme Court Nomination That Changed America (2015); In Black and White: The Life of Sammy Davis, Jr. (2003) among others. In fall 2018, he published Tigerland: 1968-1969: A City Divided, a Nation Torn Apart, and a Magical Season of Healing, and curated an art book related to the Harlem Renaissance titled I, Too, Sing America. Haygood has received a John Simon Guggenheim Memorial Foundation Fellowship, a National Endowment for the Humanities Fellowship, and the 2017 Patrick Henry Fellowship Literary Award for his research on Tigerland. He lives in Washington, D.C.
An emotional, inspiring story of two teams from a poor, black, segregated East High School in Columbus, Ohio, who in the midst of the racial turbulence of 1968/1969, win Ohio’s state baseball and basketball championships in the same year.